In the previous post, I attempted to draw a distinction between positive supervisory statements about employee actions and statements about the person. Sticking to action statements is safe territory if you want to avoid the long list of negative employee feelings attached to comments they think are aimed at their personality, character, value, attitude, and so on. Safety Observation Conversations (SOC) and Performance Observation Conversations (POC) correctly managed build Supervisor/Employee relations, increase employee engagement, increase general performance, and improve product quality. There is a long history of evidence-based data to support the value of “talking with” frontline employees. 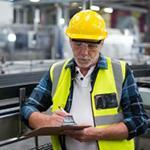 Frontline employees expect supervisors to approach them if there is a problem. They do not expect a general discussion that begins with statements about what the supervisor has seen the employee has “done” that is of value to the product quality, or safety. I’m certain this is throwing most readers for a loop. You have been told to use “positive comments” when employees achieve, perform, or improve their job behavior. Sounds harmless doesn’t it? Sounds right as well. The answer is, it is not as harmless or as easy as it sounds. If you want to use positive management or supervisor tactics that enhance and increase employee engagement, there are things you can and cannot say. You have a narrative in your head; everyone has one. It is the “things” you think about. Most of the time, the narrative wanders. When you must complete a task, your brain (physical mind resource) usually focuses on the sequence of events that the task requires. Other than that, the narrative is in its natural state - wandering without intent – jumping unfettered from one thought, one problem, and one image to another. Sometimes, you don’t have any sequence of grammatically connected words (a narrative) – you have images – you intentionally picture some person or event in your past or possibility in the future. Cerebral activity can be experienced while you are sitting or moving. It is possible to control the direction, subject, and imagery purposefully. When the narrative and its associated images are purposeful, we call this thinking. Thinking can be associated with well-known tasks or activities or thinking may be the systematic application of logic and reasoning to an unknown – consciously trying to solve a problem that you want to solve.